Are you a big time drone enthusiast and looking for the best most expensive drones with accessories? Drones are no longer used just by military forces to gather intelligence or shoot down targets. Today a vast majority of this market is in the recreational flying industry. These toys are a nice way to shoot sporting events, weddings, beautiful landscapes or anything else you want to shoot from high up in the air. Today, drones are no longer just an RC toy for a 7 year old. The industry is growing and evolving at such a rapid pace that new sports are being invented revolving around flying drones. Many people believe that drones can revolutionize sports, transportation, entertainment, logistics and security. If you want to get started with this incredible innovation, you can buy really simple ones that will allow you to capture photos and videos, but the camera quality is not always the best. However, if you want to splash out and treat yourself to the highly advanced quadcopters available on the market today – then this is the article for you. In this article we’ve rounded up the best most expensive quads which can easily be bought online. They are aimed for professionally. However, they can still be used for recreational activities. Freefly Alta 8 is ridiculously expensive octocopter but due to its amazing craftsmanship, the price tag is actually justified. As you would expect from such a monster, Alta 8 has a high payload (20lbs) and very powerful lifting momentum. As we already mentioned, it has 8 long propellers (18-inch) made of super-light carbon fibers which enables Alta 8 to have long flight-times and incredible lift. Since it is made with professionals in mind, it carries a cinema camera with utmost ease. Even heavier RED cameras are no problem for this beast. The octocopter is very stable and flies smoothly thanks to its Synapse light controller – huge plus when it comes to cinematography. The S1000 is equipped with retractable landing gear made of carbon fiber. This feature allows for low weight and high structural integrity at the same time. 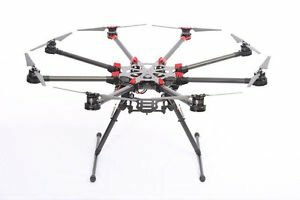 The high stability and safety is also one of the features of this drone. This feature makes this quadcopter smooth and simple to control. However, the price is a bit too high for only this one feature. Flying Chainsaw DJI S1000 Drone by Finnish film makers. The Ouku Unique OEM DJI Inspire 1 is considered to be one of the best drones for creative purposes and professional use because it comes with 2 controllers. This feature allows one person to film and control the camera while the other is flying. This drone is powerful and stable and can take on strong winds very smoothly without causing any issues with the controls. This is a highly advanced and top-priced drone with a built-in 4K camera. The Ouku has a flight time of 25 minutes and operational range of about 1000 meters. These features are above average for most UAVs. It also ships with a hard case built by DJI. The AZ 4K is not for newbies because it takes awhile to get a hang off it. It is also pretty high priced drone. 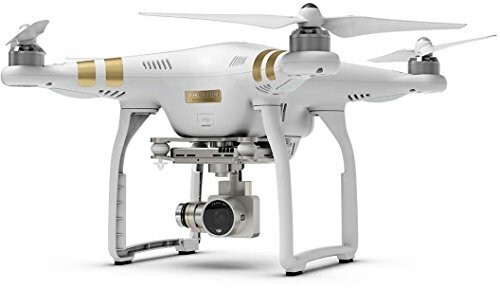 On the other hand, because of its flexibility and ease of use this drone is perfect for cinematographers and photographer. The AZ 4K has a large body and it comes with a 4K camera in-built. Because of its well optimized center of mass, this drone is very stable compared to other drones on the market. Also, the arms were made with strong duralumin to secure stability of the drone from sudden external forces after installing the big camera. The maximum flight weight is 20kg (44lbs), which is nearly the highest among any major drones. Breathtaking changing colors of a Grand Canyon, AZ-4K Ultra HD Video 30FPS Yelp, Trip Advisor Top Rated Places!!! 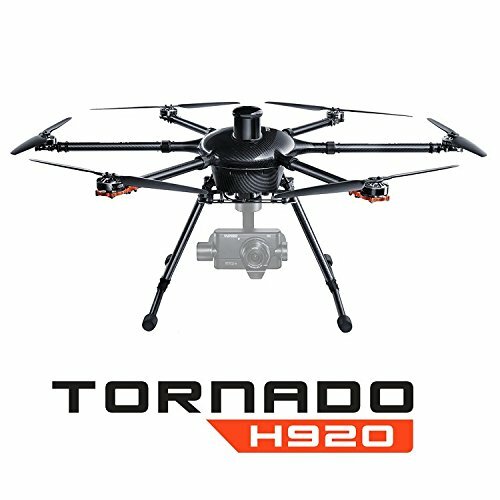 The Tornado H920 from Yuneec is a six-rotor aerial platform that is controlled by a standalone remote controller. This controller requires some practice before you get a hang of it. This drone is optimized for flying a Panasonic GH4 camera (not included). The Tornado weighs 5kg and it is one of the heavier drones on the market. This feature makes it a tad bit difficult to control. It has an operational range of 2 km and offers a flight time of about 25 minutes. The H920 has a top speed of 76 km/h. This speed is sufficient for following and shooting footages of moving vehicles. The Tornado H920 comes ready-to-fly. The package includes the drone, a transmitter, two flight batteries, a battery charger, and an aluminium case. Many drone enthusiasts utilize the Faucon Drones Lifter Series V1.0 while in pursuit of that perfect flight. 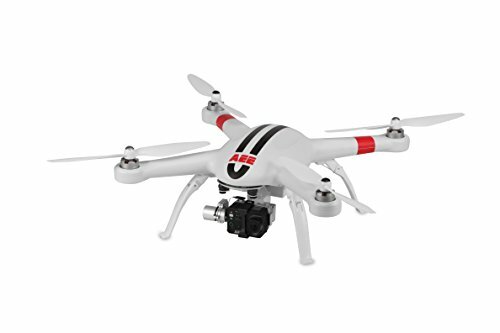 This drone is intended for use in videography, SAR, or any application requiring easy flight qualities. The Faucon V1.0 is mainly a commercial or advanced hobbyist drone and it is not supposed for use in activity flying. This drone comes with a retractable landing gear made of carbon fiber and that’s why it is capable to endure crashes and tough landings really effectively. It also has a frame that is highly shock resistant and has a highly advanced stability system. These features make this drone nearly weight-less and shock resistant. However, as with any drone, parts at times do split in a crash. To control this drone you have to be an advanced RC flyer with heavy lift drones. So if you are a beginner and just starting off, this drone is definitely not for you. Specs for battery/motor/prop all at the end of this video http://www.youtube.com/watch?v=wDHXVROPGEk. With QWG DJI Inspire 1 T600 you can enter into the world of professional videography. This drone comes with a 4K camera in-built which allows you to capture 12 megapixel photographs and shoot 4K video. With this drone you can focus only on the creative part of your job because it is a complete aerial filming solution with all tech aspects done for you. This drone comes with 1 controller but you can add an additional controller later. The T600 also comes with an ultra fast charger which allows you to get completely charged within minutes. The DJI Inspire 1 also comes with a military grade crush proof, weatherproof and a pressure control valve for taking on planes. This drone is high quality and very collectible. As far as color goes, the T600 is available in white color. 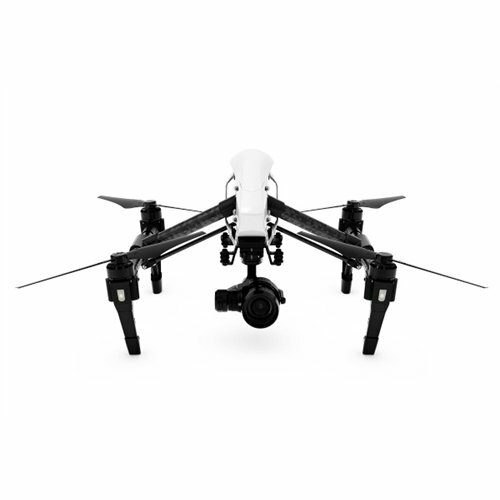 The DJI Inspire 1 bundle comes ready-to-fly (RTF). The package includes the drone, a pre-bound transmitter (radio controller), 8 batteries, 2 charges, 2 iPad Airs, Osmo Handle Kit, etc. The DJI Inspire 1 Pro combines the finest quality with a reasonable price and that’s why it is considered to be the go-to-drone for commercial videographers that need high end quads for their job. Another great feature is the availability of two remote controllers. With this amazing feature you can control the camera while your friend controls the drone. This allows you to take capture high quality photos and footages. It also allows for a live wireless video transmission via Dji Lightsbridge. The Inspire HD video camera is detachable and can record up to 4K and at frame rates up to 60 FPS. It also has a powerful app to edit videos, camera settings, etc. After weeks of using the DJI Inspire1 Pro with X5 camera we wanted to put together a video recapping our thoughts on the system. The Phantom 3 Professional is considered to be one of the DJI’s best drones yet. This drone is aimed at early professional users. Included flight battery and rechargeable controller means this that this drone is ready to fly out of the box. It comes with an in-built camera that is capable shooting up to 12 MP still photos using JPEG or non-proprietary DNG RAW format. It also comes with a GPS system based on the Russian GLONASS unit. The controller has a return-to-home button. It connects to a Smartphone with an USB cable instead of Wi-Fi, making it a bit inconvenient. However, this feature conserves your Smartphone battery. The Phantom 3 Professions has smooth and efficient controls. This feature allows it to follow most bikes and cars with ease. Also, Vision Positioning system allows stable flight indoors. The top speed of this drone is 60 km/h, and the drone has an operational range of nearly 2000 meters. However, it is important to note that the video tends to become weaker beyond a couple of meters. DJI Phantom 3 Professional Review - Is It The Perfect Drone? This ready-to-fly RC drone comes pre-equipped with the basics to get you started. This drone is mainly for hobbyists, photographers and film makers. It is also very much suitable for beginners who can afford the price. However, it is quite advanced making it perfect for professional use. The AP11 is camera-equipped, featuring AEE’s own S61 action camera. The camera is compatible with apps for iOS and Android. This drone has the ability to fly up to an altitude of 4 3900 meters. However, it has an operational range of 50 meters and a maximum flying time of 25 minutes. Bear in mind that the flying time would depend on the payload the drone is carrying. 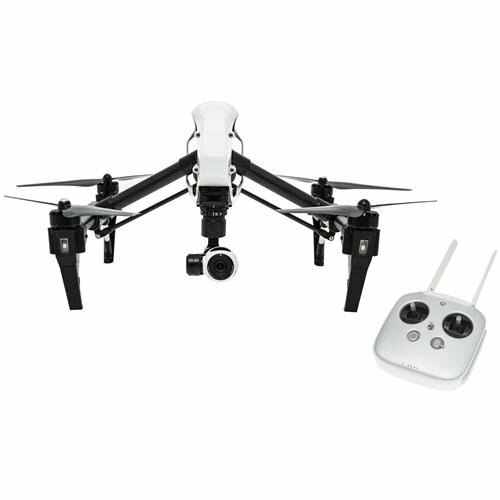 The package includes drone, 6400 mAh flight battery, charger, radio controller, two sets of propellers, AA batteries from the controller and more. The TALI H500 is usually used for film and photography, but you can choose to use it for whatever application you’d like. It is a GPS drone with simple and smooth controls, making it perfect for newbies. This drone is below average in size with a wingspan of 233mm (9.2 inches). 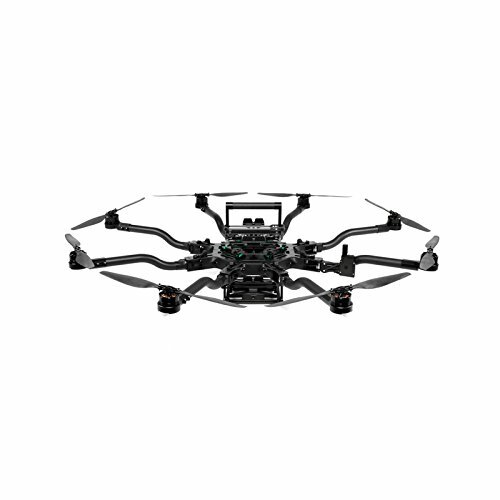 The TALI H500 weighs 2500 grams, making it one of the heavier drones on the market. It has an average flying time of about 25 minutes, which means that it can fly for 17 minutes longer than the average drone. However, this flight time depends on the payload. The operational range for the Walkera is a little less than 1000 meters. However, since it is mainly used for aerial filming, this shouldn’t be an issue. 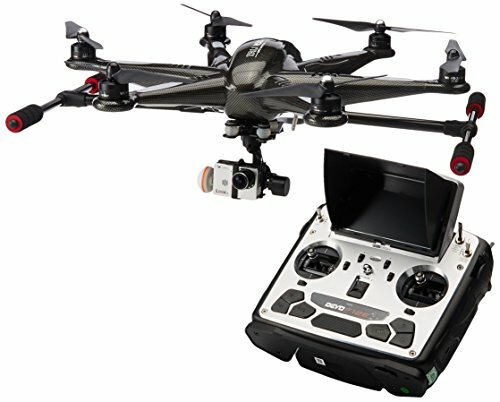 The TALI H500 has an in-built 13MP HD camera with an FPV system on board. This feature allows the drone to transmit video to the ground. As far as color goes, the Walkera is available in black and white. Professional equipment costs a lot, and these drones are no exception. Both cinematographic companies and individual professionals use these expensive toys. With more innovations and advanced technologies coming up every single day, this niche will continue to grow. However, most drones in this list might be too expensive and too overwhelming and that may not be fun to play with. That’s why it is recommended for most new drone enthusiasts to start with something cheap and small. We honestly hope that you found this article interesting and helpful.